Thin humidity/temperature probe with cable | Monitoramento da temperatura - Farma | Monitoramento da temperatura | Armazenamento e transporte - Armazenamento | Armazenamento e transporte | Aplicações | Instrumentos Testo S.A. 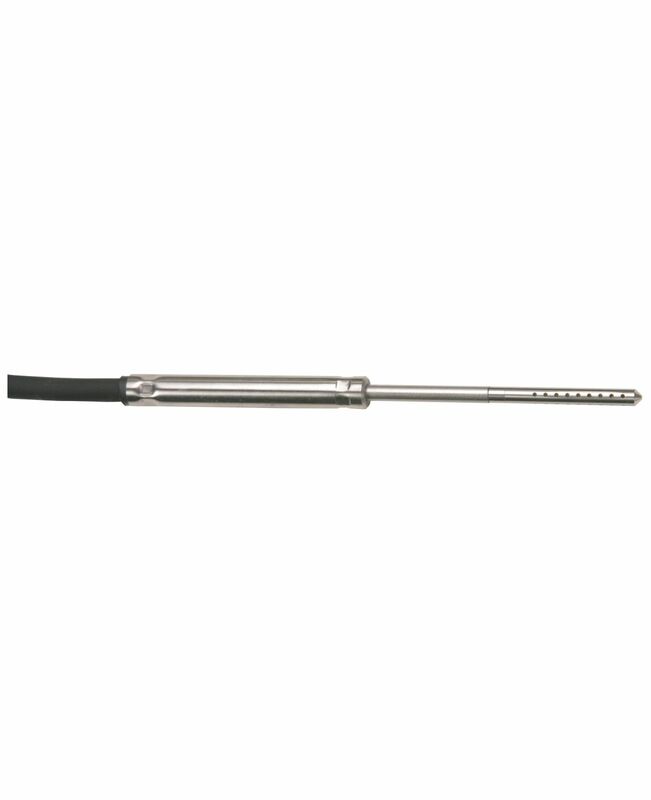 The thin humidity/temperature probe is suitable for measuring temperature and relative humidity in storerooms and work rooms. The exceptionally small diameter of 4 mm also makes it possible to measure in small holes and narrow passageways. The thin humidity/temperature probe can be installed for long-term measurements. The probe can be installed using a PG gland or clamp, for example (not included in delivery).